Monster Energy Kawasaki’s Eli Tomac does it yet again, and brings home another overall win, making it five in a row. This time, though, he did it in true champion fashion by climbing his way back up to third after a start that had him outside the top 20. Monster Energy Yamaha’s Justin Barcia rode the best we’ve seen him ride in a long time, Red Bull KTM’s Marvin Musquin clawed his way to a third overall, and Honda HRC’s Ken Roczen continues to ride solidly and impress. 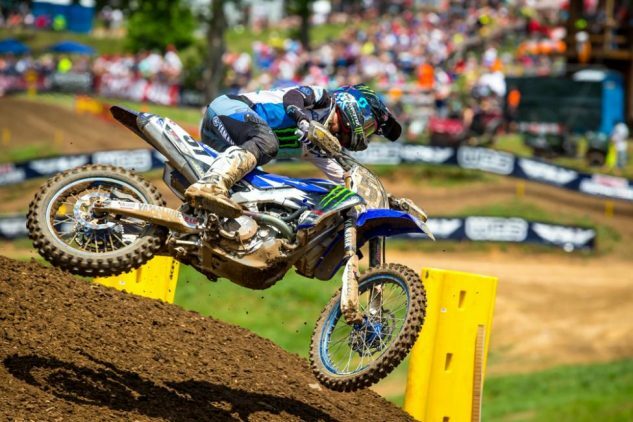 The 250 class at Muddy Creek was nuts. Nobody could have predicted what would eventually happen. Shane McElrath, Dylan Ferrandis and Chase Sexton finished 1-2-3, and congrats to them on stellar performances and finishes, but Jeremy Martin’s mid-air collision with Justin Cooper in Moto 2 sent the GEICO Honda rider to the ground with a back injury. It’s a shame when stuff like this happens, or any injuries to riders for that matter, and Martin (a major title contender) will miss the rest of the season. Riders have been dropping like flies lately in both classes and we wish them all a speedy recovery and return to racing. BLOUNTVILLE, TN – June 23, 2018 – The Lucas Oil Pro Motocross Championship, sanctioned by AMA Pro Racing, made its lone visit to the motocross hotbed of the southeast on Saturday for the fifth round of the 2018 season – the 5th Annual Tennessee National from Muddy Creek Raceway. 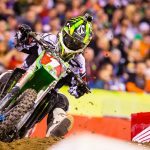 In the 450 Class, Monster Energy Kawasaki’s Eli Tomac remained unbeaten when it comes to overall victories, putting forth an impressive come-from-behind effort in the final moto to secure his fifth straight win. In the 250 Class, hometown rider Shane McElrath broke through for the first overall victory of his career aboard his Troy Lee Designs/Red Bull/KTM, following one of the wildest races in recent memory. The first 450 Class moto of the day began with Tomac leading the field into the first corner, but as he pushed wide it allowed Team Honda HRC’s Ken Roczen to slip underneath and steal the Motosport.com Holeshot. Autotrader/Yoshimura/Suzuki Factory Racing’s Weston Peick slotted into third, with Rockstar Energy Husqvarna Factory Racing’s Phil Nicoletti and Monster Energy/Yamaha Factory Racing’s Justin Barcia right behind. 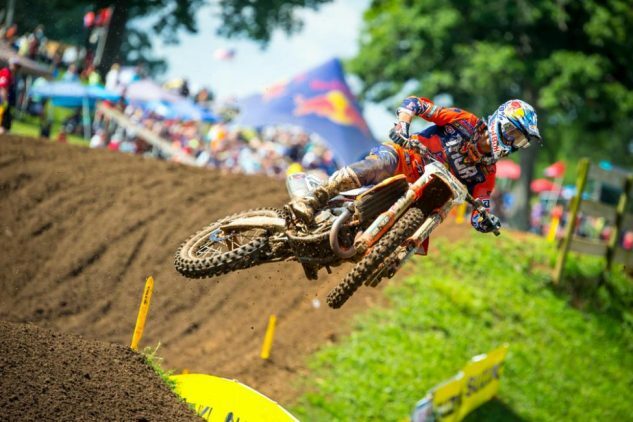 As they jockeyed for position, Tomac’s primary challenger Marvin Musquin inadvertently got hit and his Team Red Bull KTM Factory Racing machine fell over. He got back on the bike quickly and resumed deep in the field, completing the opening lap in 20th. Up front, Barcia stormed his way by Peick into third. Roczen’s early pace in the lead put some initial distance between he and Tomac, but he slowed a bit, which brought the Kawasaki rider right onto his rear fender in search of alternate lines that would allow him to make a pass. Roczen successfully fended off the pressure for several laps, which ultimately allowed a hard-charging Barcia to close in from third. Tomac successfully made his way by Roczen with just under 20 minutes remaining in the moto and quickly distanced himself from the Honda rider. That then put Roczen into the clutches of Barcia, who went to work on the German and successfully took over second just a short time later. 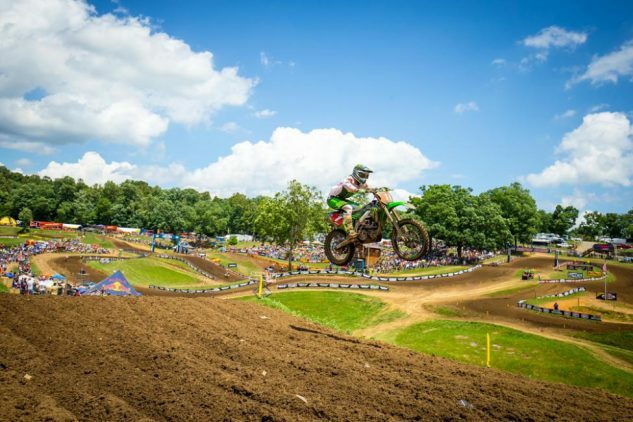 Tomac continued to build on his lead, which eventually stabilized to just under 10 seconds. 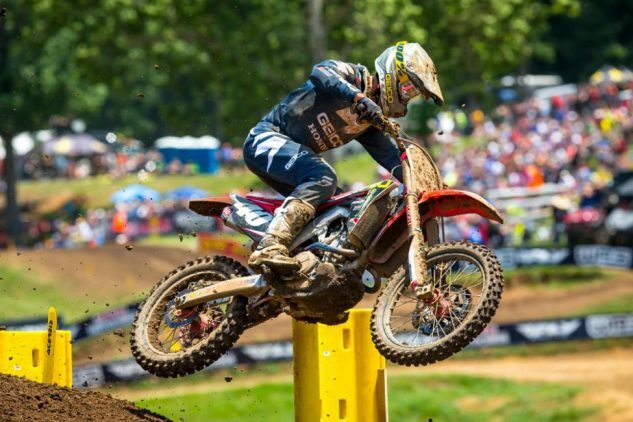 He easily rode to his eighth moto win in nine tries, crossing the line 7.9 seconds ahead of Barcia. Roczen maintained his hold on third, with RMATV/MC-WPS-KTM’s Blake Baggett fourth and Musquin fighting his way back all the way to fifth. The final moto of the afternoon saw Roczen sweep the Motosport.com Holeshots and extend his holeshot streak to three motos, while Barcia jumped into second and Musquin into third. Tomac got his worst start of the season and was mired back well outside the top 10, eventually completing the opening lap in 14th. Out front, Barcia seized the opportunity to challenge Roczen for the lead and successfully took the top spot from the German, who was forced to deal with Musquin, determined to rebound from a frustrating first moto. The Frenchman wasted little time in getting by Roczen and then set his sights on Barcia out front. The Yamaha rider kept Musquin at bay for a couple laps, but the KTM rider was relentless and moved out front just over eight minutes into the moto. Once he had a clear track, Musquin was able to easily gap Barcia. Throughout the battle up front Tomac was climbing his way back into contention. He broke into the top 10 after just a couple laps and continued to storm past riders until he moved into the top five. At this point the overall win was within reach for the Kawasaki rider. He gained more points by passing Peick for fourth, and then erased a multi-second deficit on Roczen to not only break onto the podium, but also move atop the overall classification. Even with the win in hand, Tomac still kept pushing. He stalked Barcia for several laps and gained more and more ground by running laps nearly two seconds quicker than his rival, but Barcia responded and forced Tomac to settle into third. 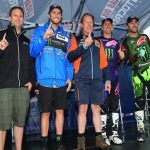 Out front, Musquin maintained an insurmountable margin over the field and effectively rebounded from his misfortune in Moto 1 to earn his second win in the past three motos. Barcia followed in second, 3.5 seconds behind Musquin, while Tomac cruised home for third. Tomac’s 3-1 results gave him a one-point advantage over Barcia (2-2) in the overall classification, while Musquin’s moto win gave him third overall (5-1). It was the 14th win of Tomac’s career. Tomac added to his lead in the 450 Class standings, which now sits at 32 points over Musquin. Barcia is third, 58 points out of the lead. The opening 250 Class moto saw point leader and Monster Energy/Yamalube/Star/Yamaha rider Aaron Plessinger do what he had to do and capture his first Motosport.com Holeshot of the season ahead of the Martin brothers, Troy Lee Designs/Red Bull/KTM’s Alex and GEICO Honda’s Jeremy. 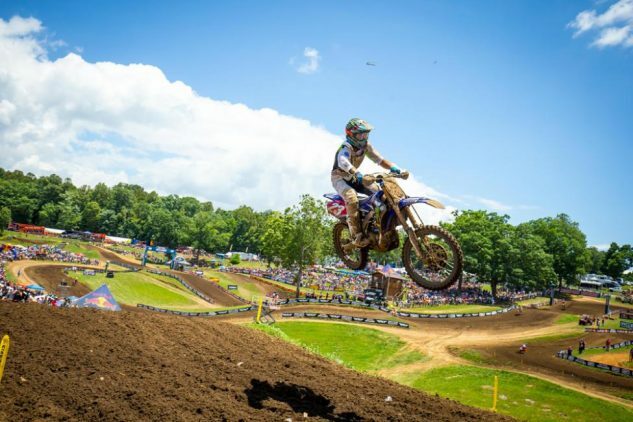 However, Plessinger gave up control of the lead when he tucked his front end and went down, handing the top spot to Alex while Jeremy followed in second. Plessinger got up and returned to action quickly, restarting just outside the top 10. 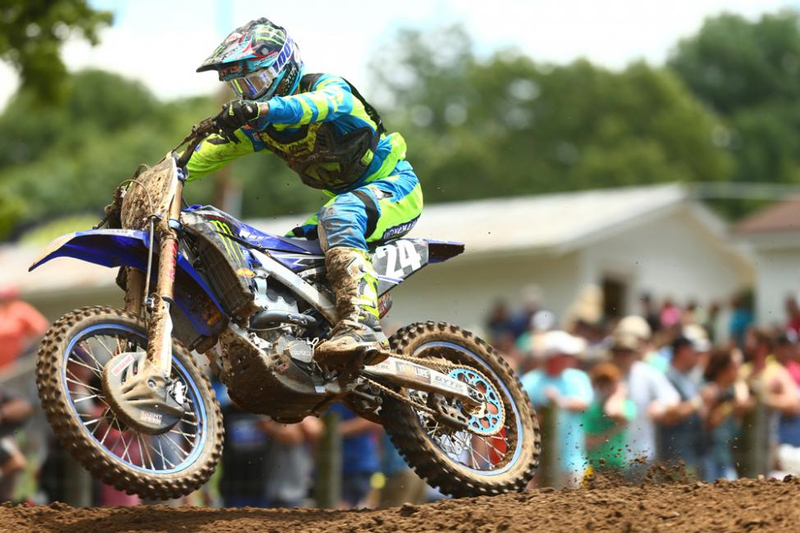 Alex was able to open a multiple bike length lead on his brother, with the leading siblings eventually separating themselves from Justin Cooper in third place aboard his Monster Energy/Yamalube/Star/Yamaha. Cooper then came under pressure from McElrath and GEICO Honda’s RJ Hampshire. With a little more than 20 minutes left in the moto, Jeremy Martin capitalized on a mistake by Alex, who came up short on a jump, to dive on the inside and steal away the lead. Just a few laps later Alex made another mistake and crashed out of second, eventually reentering just outside the top 10. Without the pressure from his brother, Jeremy enjoyed a comfortable margin out front over Cooper and McElrath, who settled into second and third, respectively. He maintained the advantage through to the finish, taking his second moto win of the season 5.9 seconds ahead of Cooper, while McElrath enjoyed his best moto result of the summer in third. 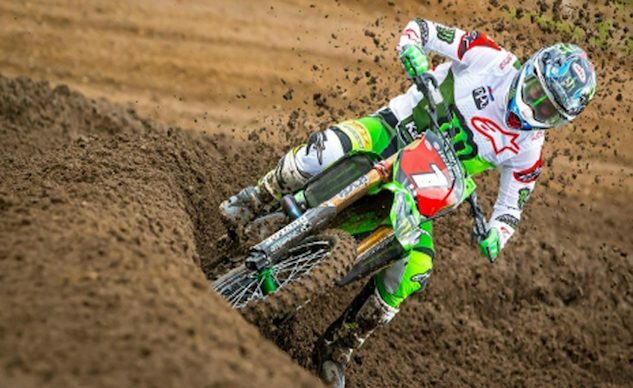 Hampshire was fourth, while Monster Energy/Pro Circuit/Kawasaki’s Austin Forkner rounded out the top five. Plessinger soldiered home in ninth, while Alex Martin followed in 12th. When the gate dropped on the second moto it was Alex Martin who emerged with his third Motosport.com Holeshot of the season, followed closely by his teammate Sean Cantrell and Monster Energy/Yamalube/Star/Yamaha’s Dylan Ferrandis. The Frenchman went on the attack quickly and took second away from Cantrell, who then got passed by his Troy Lee Designs teammate Jordon Smith for third. Not long after that Plessinger moved into fourth. While this battled unfolded up front, first moto winner Jeremy Martin and runner-up Justin Cooper came together in the air and crashed, which forced Martin to record a DNF while Cooper continued deep in the field. With a clear track ahead of him Alex Martin was able to control the pace, but Ferrandis successfully kept him within reach and mirrored his lap times. At times Ferrandis applied heavy pressure, but Martin withstood the challenge and held onto the lead, successfully putting some distance between them in the middle portion of the moto. Behind them a slew of activity unfolded, first with Smith making a charge, only to fade and lose multiple positions. That allowed GEICO Honda’s Chase Sexton to take over third, with Plessinger maintaining his hold on fourth. The rider to watch over the second half of the moto was McElrath, who battled his way forward from a ninth-place start to move into the top five, pass Plessinger for fourth, and then Sexton for third. 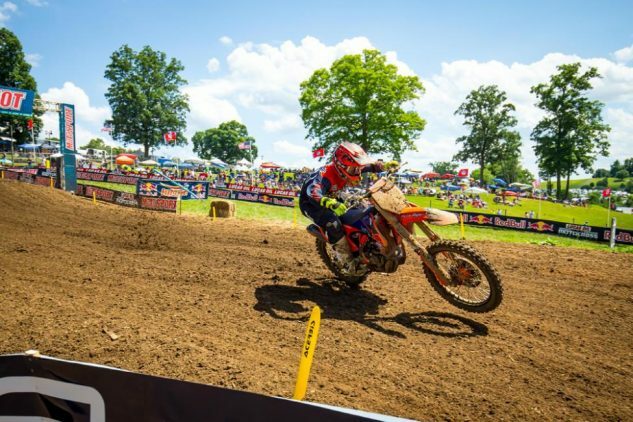 Those moves were enough to put McElrath in control of his own destiny for the overall win. After fending off another heavy challenge from Ferrandis, Martin effectively gave up his hopes of a moto win by crashing out of the lead right after he crossed the line to take the two-laps-to-go board. He remounted quickly in second, but had McElrath charging right behind. Ferrandis kept it on two wheels to become the fifth moto winner of the season, while McElrath made an aggressive last-lap pass on Martin to take second, 2.3 seconds back of the Frenchman. Martin followed with a frustrating third, a finish that took him off the overall podium. McElrath’s consistent 3-2 finishes carried him to the overall win, while Ferrandis’ triumphant effort in Moto 2 vaulted him to the runner-up spot (11-1). Sexton earned the first overall podium result of his career in third (8-4). McElrath became the 82nd different winner in 250 Class history. Plessinger ended up seventh overall (9-5), but given the adversity faced by his fellow contenders he maintained his hold of the point lead and actually added three points to that advantage. He sits 23 points ahead of Jeremy Martin, who ended up ninth overall (1-40) but didn’t lose a spot in the standings, while Alex Martin, who finished fourth (12-3), remains third. 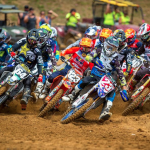 The 2018 Lucas Oil Pro Motocross Championship will continued next weekend, on Saturday, June 30, with its annual visit to the sands of Southwick, Massachusetts, as legendary The Wick 338 welcomes the world’s best riders to New England. First motos of the Southwick National can be seen live on MAVTV at 10 a.m. PT / 1 p.m. ET. Second motos will air via tape delay on NBC Sports Network at 5:00 p.m. PT / 8:00 p.m. ET. Additionally, all of the action can be seen as it unfolds online via the “Pro Motocross Pass” on the NBC Sports Gold app.